West Africa is the undiscovered part of the continent, receiving far fewer visitors than the popular safari parks in the east and south. This isn't for a lack of attractions however and a journey across several of the countries in this region will be as rewarding as it is pioneering. Although there are some good destinations for wildlife viewing here (Mole National Park in Ghana and the bird sanctuaries of Senegal are of note), the real attractions are the people and the culture of the region. West African music is world renowned and can be heard in vibrant cities such as Mali's Bamako and Burkina Faso's Bobo-Dioulasso. There are a huge variety of colourful and fascinating tribal groups in West Africa, many still practising traditional customs and living in isolated villages, while voodoo culture is still prevalent and practised in Togo and Benin. Markets, such as Gorom Gorom in Burkina Faso and Mopti in Mali, are a great opportunity to interact with locals and buy souvenirs such as traditional West African masks. West Africa also has a rich historical legacy, with regional civilisations such as the Kingdoms of Dahomey and Ashanti and the Songhai and Mossi Empires, as well as the disturbing reminders of the slave trade which devastated the area. Travelling across several countries in West Africa can be a challenging experience but is undoubtedly a rewarding one with a myriad of discoveries awaiting you. There are many different tours and routes available depending on the countries of interest and length of the trip. This comprehensive route links the Atlantic coast at Senegal with Nigeria and Cameroon through popular destinations like Ghana and Mali and lesser visited countries like Guinea and Sierra Leone. 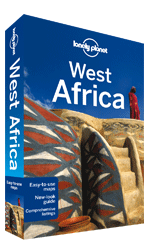 Between the major West African cities of Dakar and Accra lies one of the great frontiers of overland travel, either inland through Mali and Burkina Faso or through the remote coastal countries of Guinea, Sierra Leone and the Ivory Coast. Travelling through the countries on the Gulf of Guinea coast offers some real off the beaten track adventure - far from tourist crowds but close to the real Africa.